We focus on the technology so you can focus on your guests. 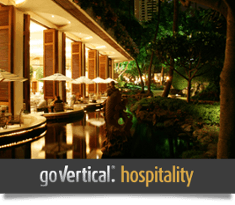 Tight margins and tough competition is a fact of life in the hospitality industry – restaurants, resorts, hotels, and casinos. Getting, and keeping, customer loyalty is hard. You need to be able to focus on your customers – providing excellent service, meals, and facilities to keep them coming back for more. That's enough to worry about, you shouldn't have to worry about your IT infrastructure too! We help you lower costs, streamline and automate processes, and improve your communications between staff, patrons, partners, and planners so that you can focus on hospitality. Create colorful in-house brochures and other marketing materials to cross-sell services. Improve customer service and self-service by digitizing and making customer information easily accessible online. Decrease shipping and courier costs with automated document workflows and distribution. Mobile printing offers customers and staff the freedom to print 24/7 on networked digital copiers. 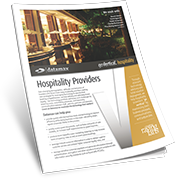 Hospitality companies go Vertical® with Datamax Arkansas with efficient workflow, faster communication, and an improved bottom line. You can improve customer service, have deep insight into customer trend data, and connect, streamline, and automate you back-end processes. Let's talk.